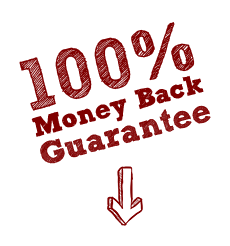 Discover New Metal Detecting Sites! Research is the Key to Success! Want to be successful? 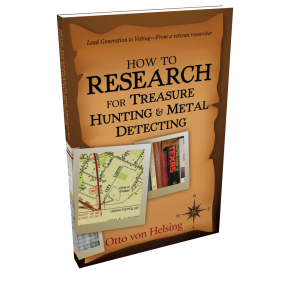 Metal detecting is all about research. Jars of gold coins are hard to find. Even harder if you don’t do proper research. Ever wanted to learn how to find virgin coinhunting spots? Or get leads on buried caches of coins? The research methods are presented herein, but only for those who want to learn the craft. Not only will you use these skills for identifying metal detecting sites, you will also find these skills useful in business and life. Most Metal Detecting books tell you to buy this book. Charles Garrett of Garrett detectors has always said ‘Go research”. It is frustrating to be given incomplete instructions. This guide will take you the rest of the way. Also, you will find other ways to use your research knowledge that will aid you the rest of your life. Including critical thinking skills. Nope. It is 214 pages (in paperback form). 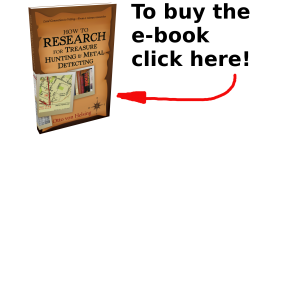 As we’ve said, this is a full sized reference book to make you a better researcher. This book was written after presenting the topic on deep web research to my fellow metal detecting clubs. Over several workshops, I discovered my fellow members didn’t even know the basics on research. Eventually, the workshops morphed into this book. And now you know the rest of the story. Yes. 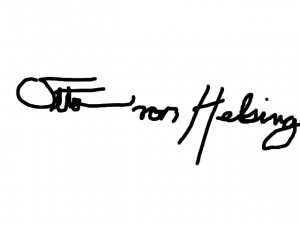 Otto Von Helsing is an avid researcher, field explorer, and treasure hunter residing in Texas. He holds multiple engineering degrees, has recovered treasures (over 25 years) from 3 continents, and maybe saved the world on one occasion. However, his wife still makes him take out the trash. He believes strongly in teaching others research skills, and hopes metal detectorists will use their soon-to-be-learned research skills in their workplace, home-life, and other useful areas. Maybe even save the world, too. ‘A great deal of time and effort went into this book over many years to provide readers with hard, no nonsense, usable knowledge. Years of hard knocks learning the ropes have given me some wisdom that I’d like to pass on. If you read this book and just don’t ‘get it’ or you think you didn’t get your moneys worth, then ask for a refund via your online purchase point. For the protection of the average hobbiest, to make sure our fellow metal detectorist is 100% covered. Fair is fair. by an author who has been there and done that. and of course, very strong critical thinking skills. Such skills are badly needed in this hobby and profession. Improve your hunting, Improve you life skills – BUY THIS BOOK! I’ve chosen to price the e-book inexpensively at $6.95 so that even the penny pinching retirees can not turn it down. You need this book to reduce stress and improve hunting. Don’t wait, don’t put it off. There really IS useful info in here for everyone. Info that will be useful the rest of your life. Just do it. Learn it now instead of a decade from now. As a sweetener, I’m going to throw in 5 FREE public domain treasure books from yesteryear. They are scanned copies of books from the 1800’s and 1900’s. I include them in the offer because I’m a believer in this hobby and I really want folks to learn good research skills.